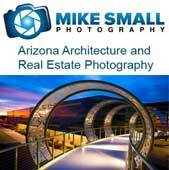 Shutter Mike Photography | Photography; Is it Art or is it a Commodity? Or Both? Photography; Is it Art or is it a Commodity? Or Both? I recently had someone say that they did not see the commercial value of another photographer’s work so they were not sure what he was going to do with his photography. I found that to be an interesting statement especially from another photographer. Is photography not an art form like sculpture or painting? Do we look at a painting and question its commercial value or is it first a work of art and then, if the artist is lucky, it might be sold? Is a photograph a failure if it does not have obvious commercial value? I think there are few people that will argue the inclusion of photography in the arts. But photography also stands apart from most other art forms in that is often seen as a business transaction, a commodity and a commercial endeavor. To some it serves a very utilitarian purpose and is an art form as a very distant second, if at all. But I would argue that it is always an art form, albeit not every artist is successful. Whether we as photographers are photographing a fashion spread, a piece of real estate, a cookie for a cookbook or the new packaging for a toilet bowl cleaner, each takes an artist’s eye and creativity as well as knowledge. We use our knowledge and experience with lighting, composition, color and form to compose the perfect image regardless of the subject or its intended final use. The art is in the creative process not just the end purpose of the photograph. Since photography so readily and so often crosses over from art to commercial it is classified differently than a painting or sculpture by most. It is a common everyday thing that is often seen as either a snapshot or a commercial work for marketing or advertising. Art tends to get forgotten. Maybe that is because it is a newer art form, relatively speaking. Painting, sculpture and architecture have been in existence for centuries while photography is barely over 100 years old. So we are conditioned to see a painting as art first and consider its commercial value second. Photography also has the disadvantage, or advantage depending on your viewpoint, of being much easier to use for commercial purposes, especially in the age of digital. Few illustrators or painters are commissioned to do works for advertising anymore causing the two medias to be separated. I think the person who made the comment about the lack of commercial value and therefore the lack of value in general for this one photographer’s work was short sighted in his view. Being a working photographer he relies on his work having commercial value and was not thinking beyond that. A photographer who works strictly for the artistic value of his work may see things completely opposite and not understand why another photographer would “sell out” to the ad man. But both end purposes can coexist in photography. In fact, some photographs can have both commercial and artistic value. The great ad shot that becomes iconic and winds up in a museum and the artistic photograph that sells for millions on the auction block. One does not need to be sacrificed for the other. I think as a photographer I should approach each shot I take as art, regardless of whether I am shooting it for a client or to hang in a gallery. If I strive to make each shot a potential gallery shot I feel that I will put that extra ounce of effort in to it thereby making each end photograph my absolute best. Photography is an art form that has tremendous commercial potential. It can easily cross the boundary between art and commodity which makes it a bit unique in the art world.